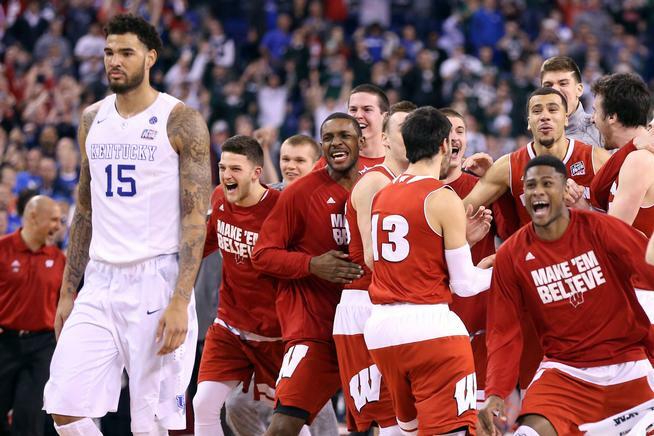 As the 2015 NCAA National Championship game is about to tip between Wisconsin and Duke, I can’t help but feel a little bad for Kentucky. I also can’t help but feel a little bad for baseball. Even their Opening Day has to fight for attention with the biggest day in college basketball. That sport simply can’t get out of anyone else’s way. It seems like something else in the sports world is always going on while 32 teams are partaking in “America’s past time” (I promise another post on why this is in air quotes during the long summer when the only thing on is baseball). Baseball has maybe a month (maybe) from the middle of July after the NBA Free Agent Frenzy happens until the middle of August-ish when college and pro football begin to take back every headline. Besides that the sport shares time with other leagues that are simply more popular right now. Even October playoff baseball has to fight with regular season football for viewers. That’s enough of anything on baseball, considering it is April and not October. Thinking about the National Championship game two things immediately come to mind: 1) I do feel bad for a Kentucky team whose season was a failure, and 2) it has almost no chance of being as good of a game as Wisconsin vs. Kentucky. As for Wisconsin, man, were those boys out for blood. From the start you could tell which team was playing for something. The Badgers returned many of the same guys that lost to the Wildcats at the same point in the tournament last season, and to say they wanted to avenge that loss is an understatement. Sam Dekker is a baaadddd man. That step back 3-pointer at the top of the key to break the tie with minutes left against Kentucky was an season-defining shot. Frank the Tank is so fun to watch, and Nigel Hayes doesn’t get enough credit for how important he is to this team. I can’t say enough about how entertaining that game was. It had the feel of a playoff game, dare I say NBA Playoff Game 7. I hadn’t been that entertained watching a basketball game from start to finish since Game 5 of the NBA Finals last year when the Spurs straight-up stuck it to the Heat in another revenge game. Well, I am unfortunately cutting this article short because the National Championship is about to tip-off. Sit back, relax, and pray for as good of a game as we got between Wisconsin and Kentucky a couple nights ago. This entry was posted in Home, March Madness 2015, NCAA and tagged 2015 NCAA Title, 2015 NCAA Tournament, Duke Blue Devils, Final Four, Kentucky Wildcats, Major League Baseball, March Madness, NCAA Tournament, Opening Day 2015, overshadowed, Sam Dekker, Wisconsin Badgers. Bookmark the permalink. ← The Zoc-etologist Has Spoken!